Description: This is an abstract for the assessment Student & Parent Letters, which communicates to a student or parent how 1 student performed on 1 test. 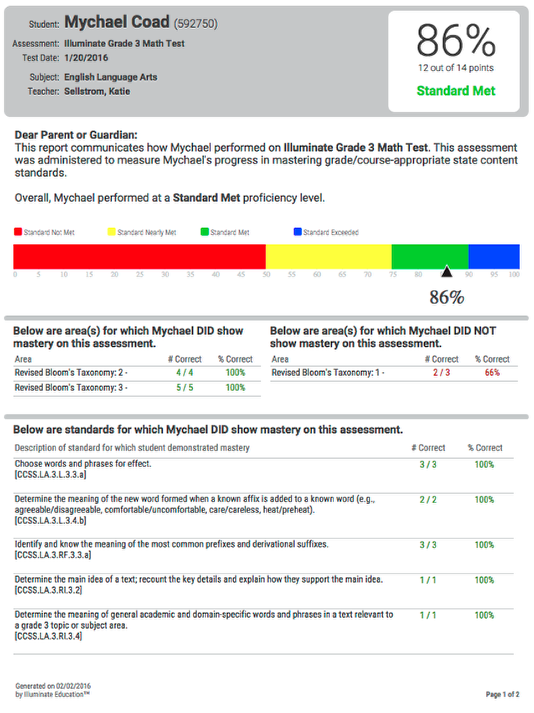 Purpose: A letter that provides information on a student's score, standard performance, performance level, question groups and answers on a specific assessment. For a single student: student name, student ID, assessment name, test date, performance level, overall % correct, questions missed vs. correct, standards and/or question groups mastered vs. not mastered. 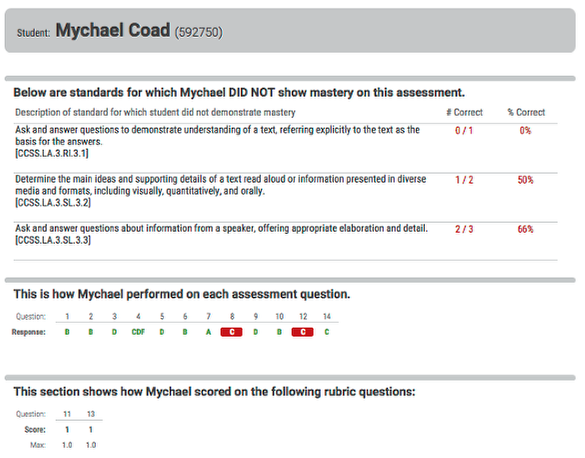 The author of the test determines what % constitutes mastery for each standard. Thus, if you disagree with the way standards are separated into mastered vs. not mastered categories, the test’s author may adjust it via the “Advanced” tab when viewing the assessment.